Posted on Tue, Mar 27, 2012 : 2:26 p.m.
Ann Arbor’s Blackbird Theater Company returns to Ann Arbor’s West Park Band Shell this summer with Shakespeare West, Michigan’s newest outdoor Shakespeare festival, which will include a production of "Macbeth" June 15-30. “I have never worked in a more ideal space,” Blackbird founder Barton Bund said in a press release. “The West Park idea started six years ago, the brainchild of my dear friend Bob Dascola.” Dascola, owner of Dascola Barbers, has been an advocate for the renovation of the park for years. 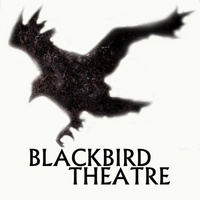 "Macbeth" will feature Bund as well as longtime Blackbird artists Jamie Weeder and Brian Carbine. Last summer’s festival featured three comedies, and the company longed to try something different. Shakespeare West’s "Macbeth" has performances Fridays and Saturdays, June 15-30 at 7 p.m. Tickets available at the gate and online at www.blackbirdtheatre.org.